A powerful transformational technology which facilitates healing on all levels; clearing the thought patterns and emotions that block us from living life to its fullest. RET clears the mental programming and core beliefs that limit who we are and who we can become. RET is an accelerated form of healing that facilitates long-term life changes. I have worked with people suffering from Post-Traumatic Stress, struggling with addictions, depression, panic attacks, and the effects of emotional, physical and sexual abuse. With Rapid Eye technology, people are able to discharge stressful memories and limiting patterns and beliefs to re-connect with their inner child, using skills and tools they learn as part of the Rapid Eye healing process. Although often misunderstood, can be a helpful tool for healing. Most people believe that hypnosis is a form of mind control but it is not. 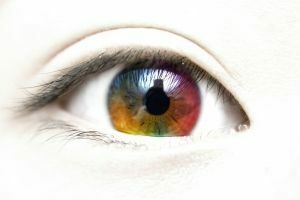 Hypnosis is a technique that allows a person to go into a deep state of relaxation, becoming more focused and aware of themselves on a subconscious level. The subconscious mind is where we hold all of life’s information. It is in this state of mind that we are able to address those issues that limit our ability to be happy and create the life we would rather have. 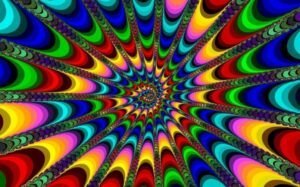 Contrary to popular belief, people in a hypnotic state are in total control of themselves and would never do anything they normally wouldn’t do. To experience a successful hypnotic experience a person must choose to be hypnotized and it may take a couple of times before you feel comfortable enough to allow yourself to go deep into the experience. To help yourself prepare for a successful hypnotic experience, simply sit or lie down in a quiet setting. Once you are comfortable, close your eyes, take several slow deep breaths in through your nose and out through your mouth and allow yourself to relax. The longer you do the deep breathing, the deeper you will go into a relaxed state and ultimately a mild state of hypnosis. While in this state just notice the things that cross your mind and when you have a negative thought acknowledge the thought or feeling then replace it with a positive thought or feeling. Example: Today’s been such a hard day I’m too tired to do anything else tonight. Replace it with: Today’s had some challenges but I feel excited to go have some fun later. A wonderful alternative to a full body rejuvenation and repair. This technique dates back to China and Egypt. It is believed that Zoning can correct and renew the entire body at a cellular level. Many people have experienced relief from common ailments such as headaches, back pain, digestive, depression, stress and many other health problems. Within each person’s feet lies a detailed and complex system. This system is believed to be connected to every part of the anatomy as well as the emotional, mental and spiritual bodies. Research has shown the feet to be very accurate in correlating the mapped reflex points to the systems of the body. With this mapping, a trained Foot Zoner is able to access the body and help it reconnect to its original blueprint. Depending on the areas that are blocked, a foot zone can be relaxing and fairly pain-free or it can cause some discomfort. If the zoning is continued consistently the blocks tend to open-up and the process can be less painful. Because each person is different, they will have their own experience. Personally, I have found Zoning to be a positive way to deal with all aspects of healing. Reiki is a Japanese method for stress reduction and relaxation that also promotes healing. Reiki is a simple yet powerful technique administered by placing hands upon the body that allows us to tap into our life energy. The work Reiki means: ‘Rei’ universal and ‘ki’ life energy, together meaning ‘universal life energy’. Reiki heals by connecting with the physical pathways of the body; chakras, auras, meridians and nadis. The Ki nourishes the organs and cells of the body. It is responsive to thoughts and feelings. Therefore, positive thoughts increase our Ki and help us feel better. When a person receives a Reiki treatment the universal life energy is accessed and directed to blockages in the body to help release them so that the life energy can flow uninhibited. Reiki works in harmony with all other kinds of treatments, both rational and complementary medicines.